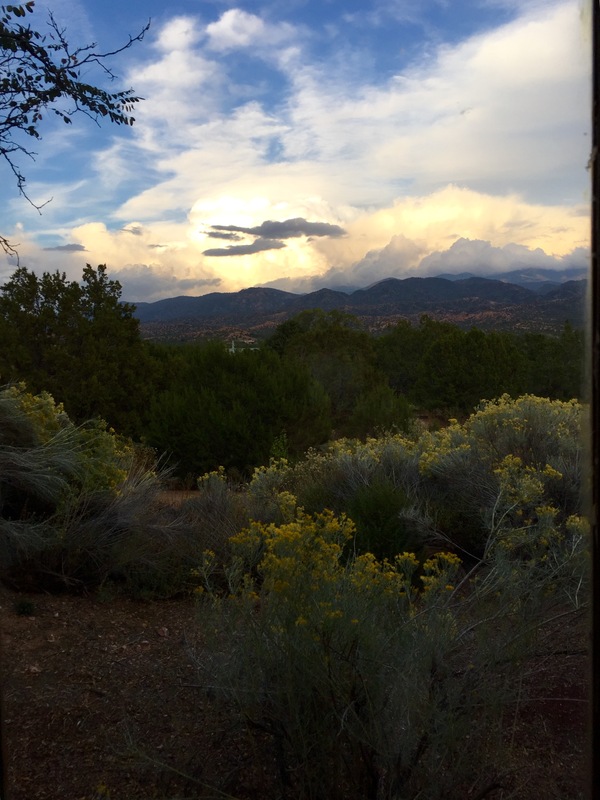 This is the same place we usually stay in Tesuque, a little north of Santa Fe in the mountains. It is called the Guest House on the Hill and we are on the opposite side this time. 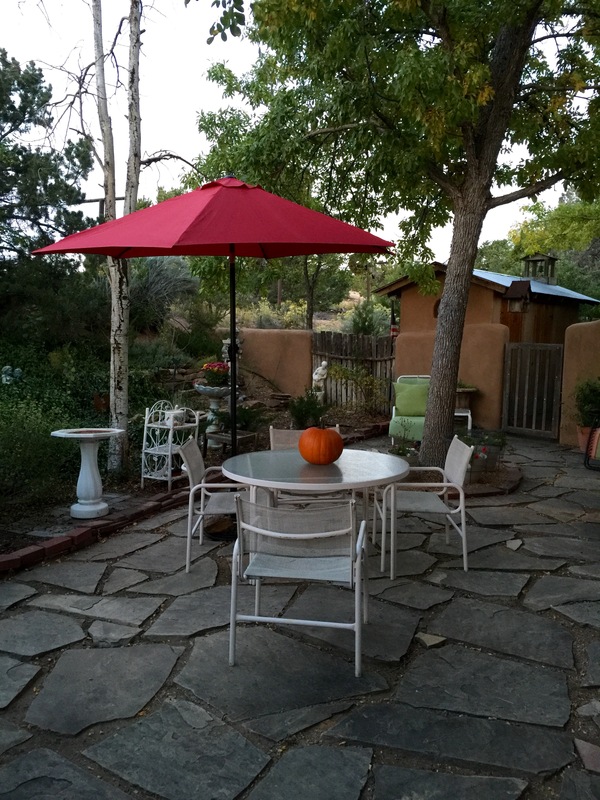 It has a great patio area for us. The house has wonderful views from each room. Wow, what an awesome vacation place! Wish we were there, too. Bet you are having the time of your lives! Enjoy! It is. The location is the best part to us. BOL….we just said that to Michele and Skyler. It is a lovely adobe. 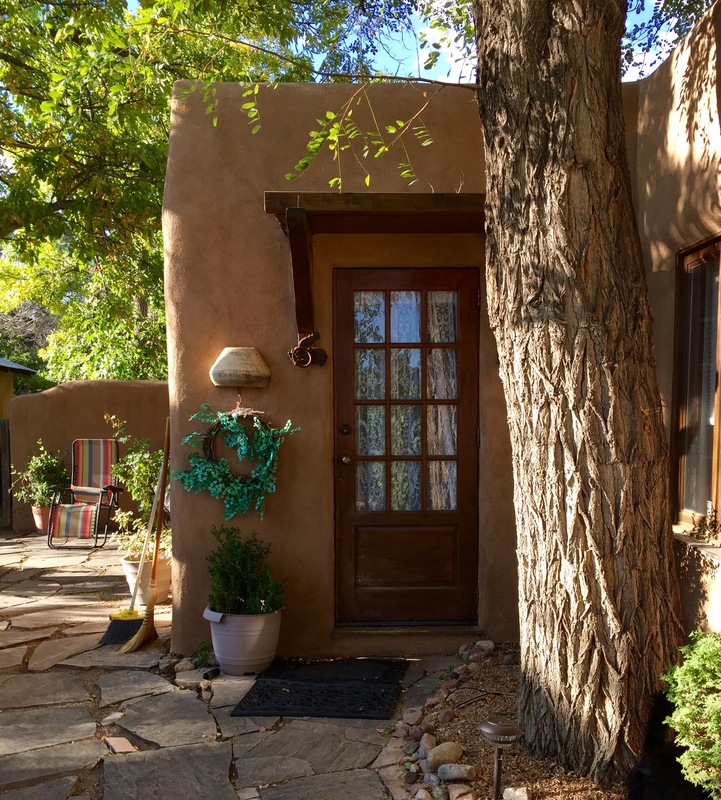 It was converted to an adobe from a duplex in Los Alamos. It was once used as housing for scientists there. The scientists created the atom bomb. The owners bought the duplex about 50 years ago, moved it about 30 miles and remodeled it. Wish we were there as well. So nice! Looks like a beautiful place to relax at–how long do you get to stay? We are here for 10 days with overnights on the road coming and going. Amarillo is halfway and nice they we don’t have to leave early from either place. No wonder this is an annual trip for you. Such history behind your lodgings! What a gorgeous setting. The colors and views are so inspiring. Meanwhile here, the rains continue….grrrrrr! The pictorial meaning behind location, location, location. We wish that we were with all of you too. It looks so beautiful and serene. Just what mom needs. You could do nothing here but look out the window and be content. Looks like a great place to get away for the hustle and bustle. What a beautiful spot you have found .. I would love it but since I can’t, I will live vicariously through you, Trisha. I know Indy & Lucy love it. Kay hello to Georgia O’Keefe for us.